Expansion for GTA Online Announced, but Will We See More Single Player Content? There is no doubt that GTA V is one of the best games of the series to date, with a superb set of missions, great trio of protagonists and a fantastic setting in the fictional city of Los Santos. And while the single player campaign was one of the best seen in a video game to date, Rockstar added an online multiplayer component to their best-selling video game, which has been their main focus since GTA V was released for the PS4 and Xbox One in late 2014. And it is true that the GTA games have always allowed gamers to live out their darkest fantasies, and a new addition to GTA’s multiplayer titled “Executives and Other Criminals” is no different in this regard. Players will be able to become leaders of their own illegal organization, even getting to own a fully-staffed Super Yacht that would make mob boss Cortez from GTA: Vice City green with envy, and live a life of luxury in Los Santos, as can be seen in the announcement trailer below. Also, apart from letting gamers hire other players to form part of their team of bodyguards, Executives and Other Criminals adds a new multiplayer mode to GTA Online called Extraction, which involves rescuing an Executive from a downed jet, pitting a team of Bodyguards vs the Hit Squad that wants to terminate the Executive. Also existing player vs player modes like Moving Target and King of the Castle will play differently when an organization takes part in them. And there’s no doubt that this new expansion will make GTA’s multiplayer more fun, but will Rockstar ever release a single player expansion for GTA V? 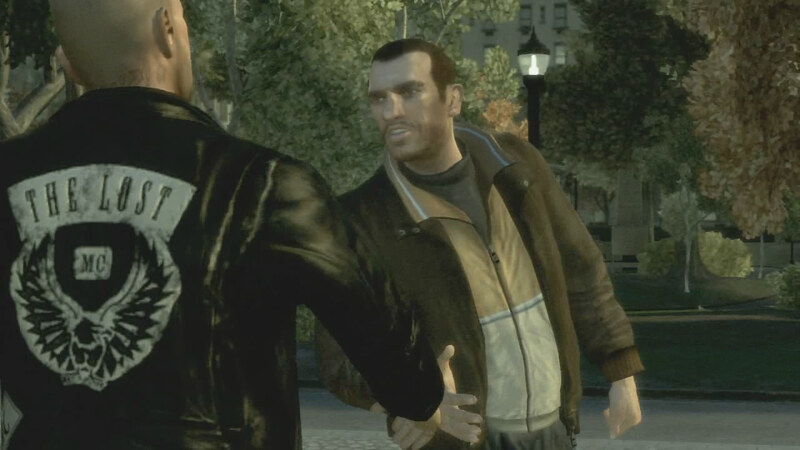 Given how rich and detailed Los Santos was, and how good the stories of Trevor, Michael and Franklin were, there’s plenty of opportunity for Rockstar to produce more single player content, like they did for GTA IV. The Lost and the Damned was a great expansion for GTA IV. Will we see more of the same for GTA V? That game had two great single player addons, The Ballad of Gay Tony and The Lost and the Damned. The latter in particular had a great story involving biker gang The Lost and plenty of cool missions, and is amongst the best video game DLC to date. So if Rockstar could add to GTA V’s great single player experience with extra content like this, many GTA fans would surely be delighted. But those looking for more GTA will have to stick to the game’s multiplayer modes, despite the focus of previous GTA games on the single player experience. Perhaps Rockstar sees more opportunities to monetize a persistent GTA online world with microtransactions and the like, and the truth is that quite a few modern games like Star Wars: Battlefront and Titanfall have done away with single player campaigns altogether, and multiplayer is also the main focus of recent releases like Call of Duty: Black Ops III. But still, it would be a sad thing if a future GTA game was multiplayer only. After all, the series has featured some of the best characters and stories in gaming to date, from Niko Belic to GTA V’s heist missions, so no matter how much fun GTA Online is, here’s hoping that we see more single player content for Grand Theft Auto in the future. Note: Executives and Other Criminals will be available on December 15, 2015, on PS4, Xbox One and PC. It’s a free update for GTA V owners. Next: Will We Ever See Another Prince of Persia Game?